Join Morris Murdock Escorted Tours and Ken Peterson and his wife Holly on this unforgettable tour to the early sites of the Restoration including the Hill Cumorah Pageant. 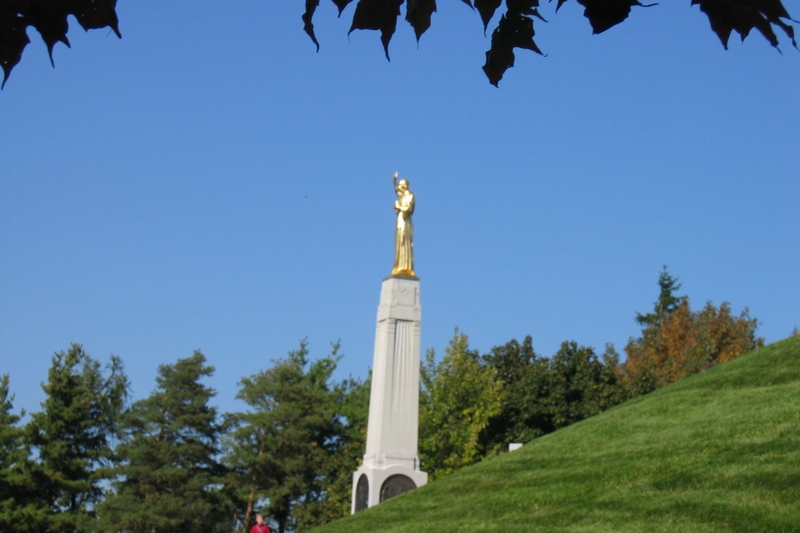 Some of the many highlights of this tour include; The Sacred Grove & Smith homestead, Hill Cumorah Pageant, the new Priesthood restoration site in Harmony, Gettysburg, Niagara Falls and the Kirtland Temple. Whether you are tracing family roots or exploring the restoration, you will gain insightful information, relive wonderful stories of faith and endurance and enjoy the wonderful teaching of Brother Ken Peterson. Depart our homes for Baltimore airport. En route to our Gettysburg hotel, we stop for dinner and an opportunity to become acquainted with our group. Accommodations are at Courtyard by Marriott. This morning we begin our tour of Gettysburg. Our first stop is at the Shriver House Museum which is an award-winning Civil War museum dedicated to the civilian experience during the Battle of Gettysburg. Next, we visit the National Cemetery that is famous throughout the world as the site of Abraham Lincoln’s Gettysburg Address. For lunch, we eat at the historic Dobbin house built in 1776. This afternoon we visit the Gettysburg Visitor’s Center and watch the introduction movie, tour the museum, and see the Cyclorama Painting. Next, our step-on guide will join us for our tour of the battlefield. We end our day with a better understanding of the sacrifices made in the most crucial battles of the Civil War. Accommodations are at Wingate Hotel. Today we depart for Palmyra to witness the highlight of our tour, “The Hill Cumorah Pageant.” While traveling to the Pageant, we visit the Priesthood Restoration Site in Susquehanna County, PA. Here we see the new visitor’s center and are able to explore the place where Joseph and Emma Smith lived from 1827 to 1830. This evening we experience the Hill Cumorah Pageant and visitor’s center. Accommodations for two nights are at Palmyra Inn. Early this morning we visit the Sacred Grove and reflect on the special events that took place here. Next, we visit the restored home and farm of Joseph Smith Sr., including the restored log cabin where the family lived at the time of the first vision and angel Moroni’s visit to the prophet. Afterward, we stop at the E.B. 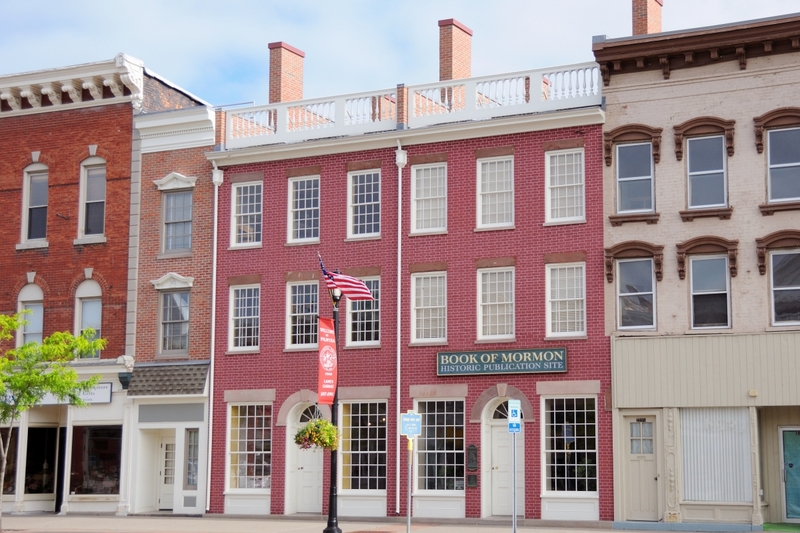 Grandin Building where the Book of Mormon was printed. After lunch, we visit the grave site of Alvin Smith, Joseph’s eldest brother then we travel to Fayette, NY to visit the Peter Whitmer Farm where the Church was organized on April 6, 1830. 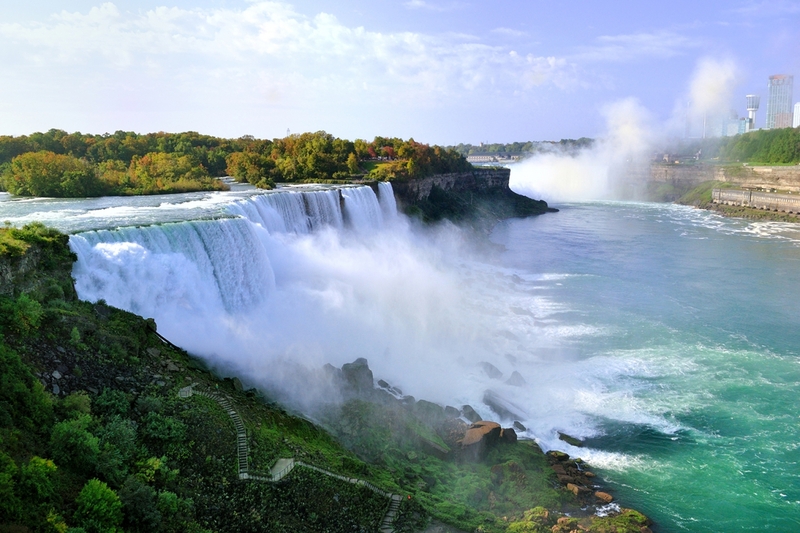 Today we journey to Niagara Falls, the oldest state park in the USA. We board the Maid of the Mist boat which passes directly in front of the falls and enters Horseshoe Basin. This is a not to miss activity! After free time for lunch and shopping, we travel to Kirtland, OH. Accommodations for two nights are at Holiday Inn. Following Sacrament meeting we see the Temple Quarry, enjoy a picnic lunch, and then visit the Kirtland Temple. Relative to the meager resources of the Saints at the time, the Kirtland Temple is probably the most costly temple ever constructed by the Church. We spend the rest of the afternoon visiting the Morley Farm and the historic Kirtland village including the LDS Visitor’s Center, Whitney Home and Store, Johnson Inn, Ashery, and Sawmill. We depart for Hiram, OH to visit the John Johnson Farm. It was at the Johnson farm that Joseph Smith received the vision of the three degrees of glory. We conclude our tour with a late afternoon flight home.